To state the obvious, there has been a lot of news about the importance of pollinators. 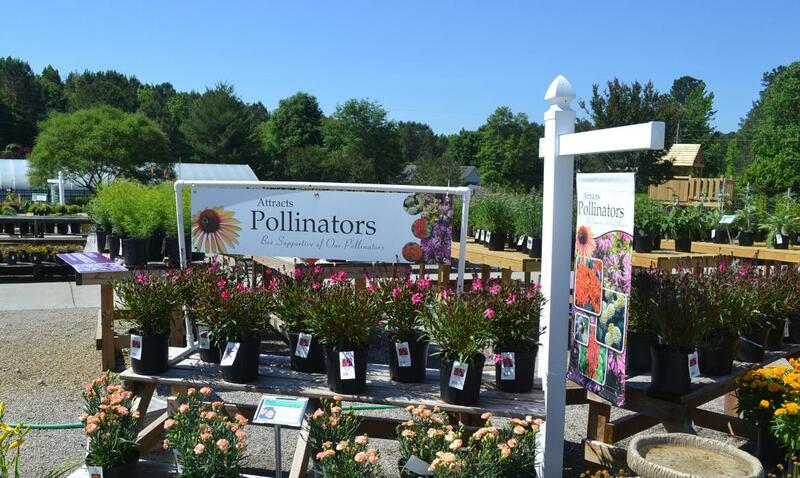 Take advantage of heightened consumer awareness with our new 'Attracts Pollinators' signs. 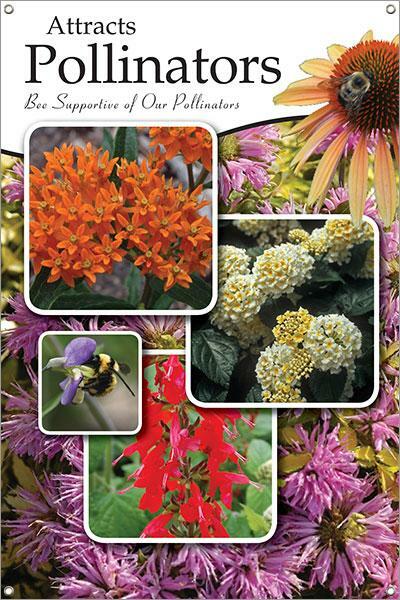 Group your pollinator attracting plants with these signs to make it easy for customers to find plants that address this need. 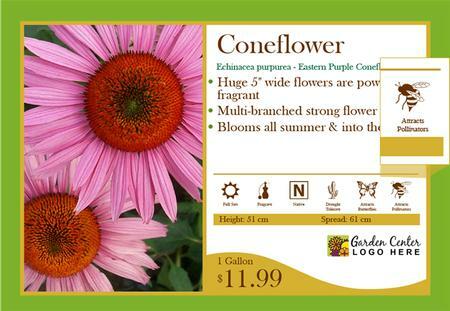 Since you will also have plants throughout your garden center that attract pollinators, you may want to also call attention to this beneficial attribute with plant specific signage. Bench cards with icons, like the one shown shown here, are great ways to focus on specific plant benefits. The icons speak quickly to your customers to aid in their purchase decision.